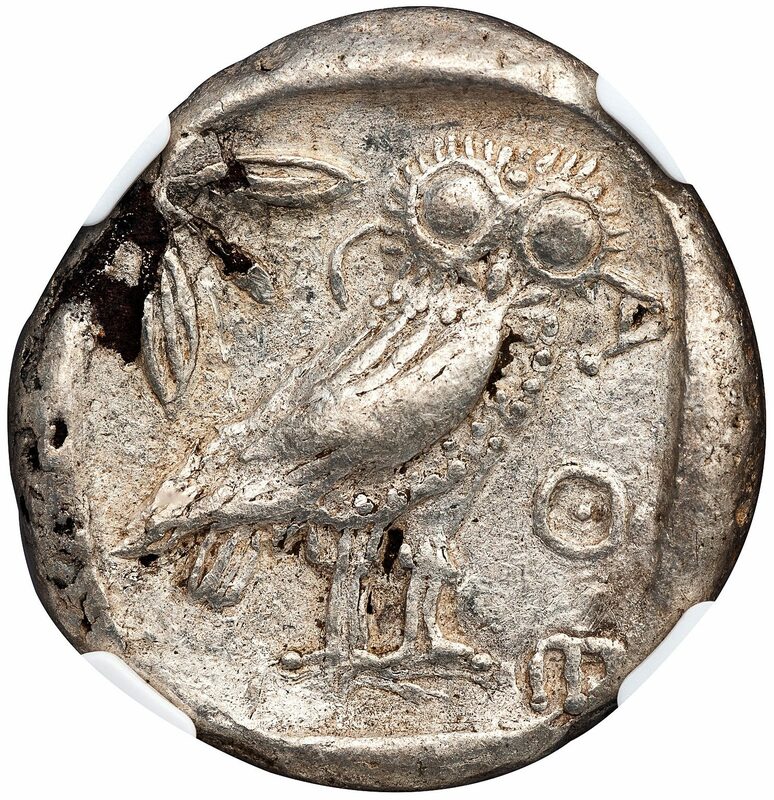 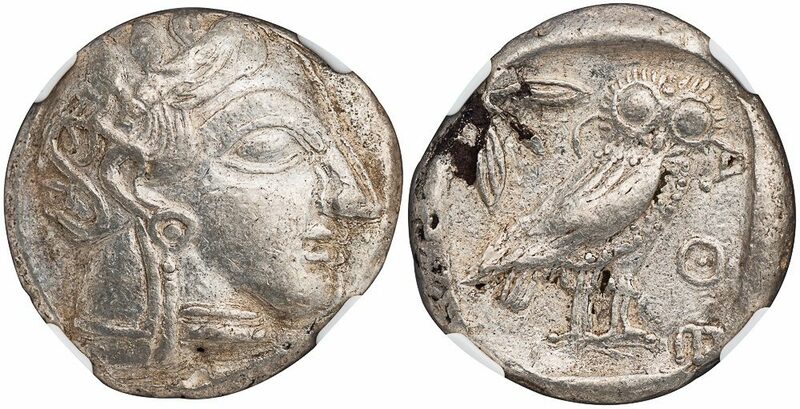 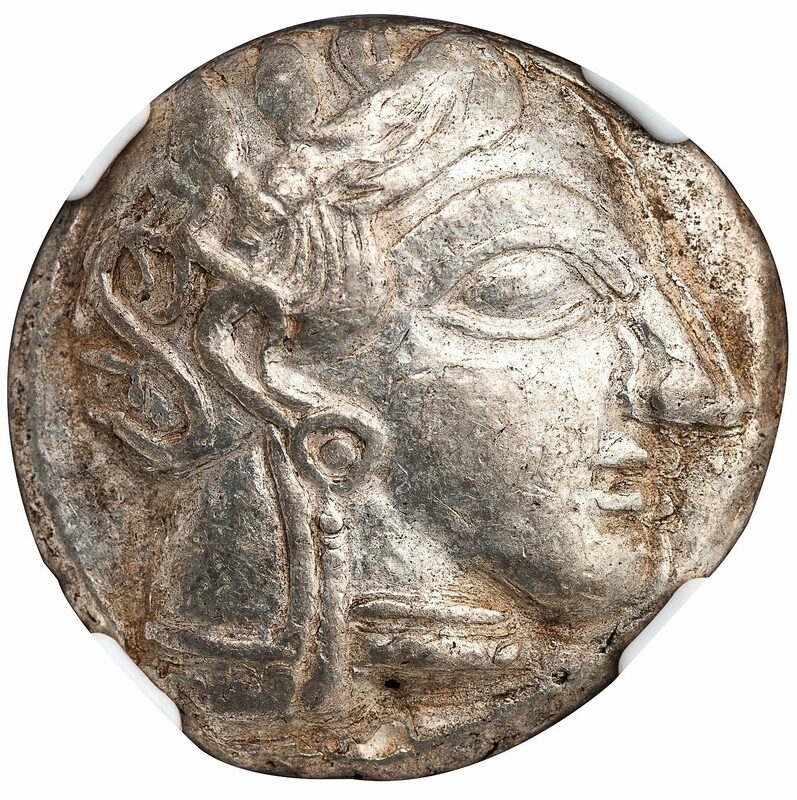 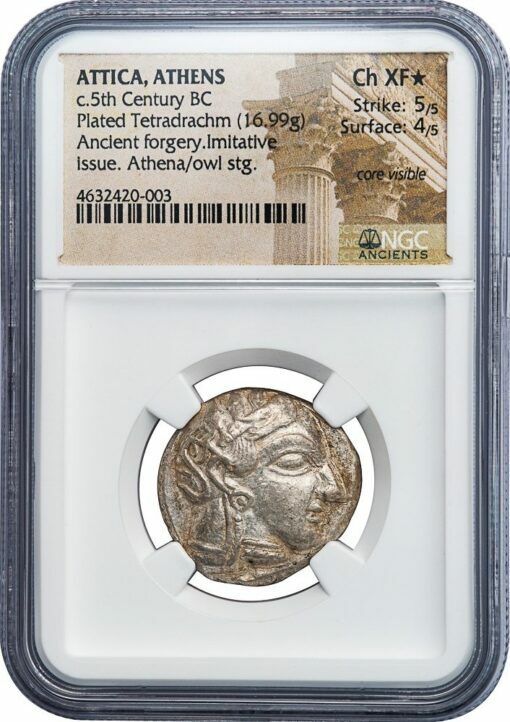 Silver Fourrée Tetradrachm, 16.99 g., 25 mm, imitative ancient forgery. The imitation appears based on Starr VA types, for which see Starr, plate XVI. NGC graded CHOICE XF STAR, Strike 5/5, Surface 4/5, CORE VISIBLE, a remarkable and seldom encountered example of an ancient imitative forgery (silver over bronze core) of a coinage that otherwise had an impeccable reputation.